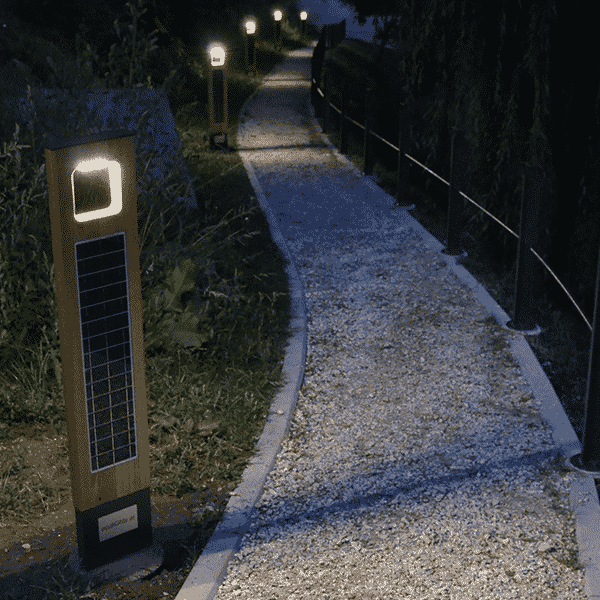 Cut in several long and narrow pieces, monocrystalline solar cells was used for tailor made panel, which was integrated in 100% stand-alone bollard. 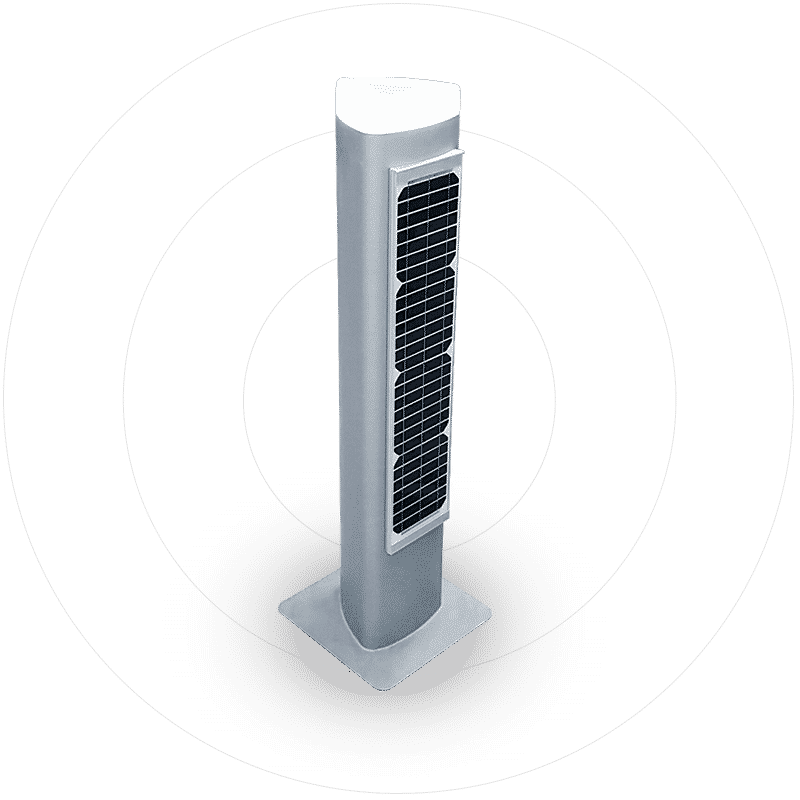 The solution to cut cells in this particular way was chosen to achieve as much power and efficiency as possible from such small space. 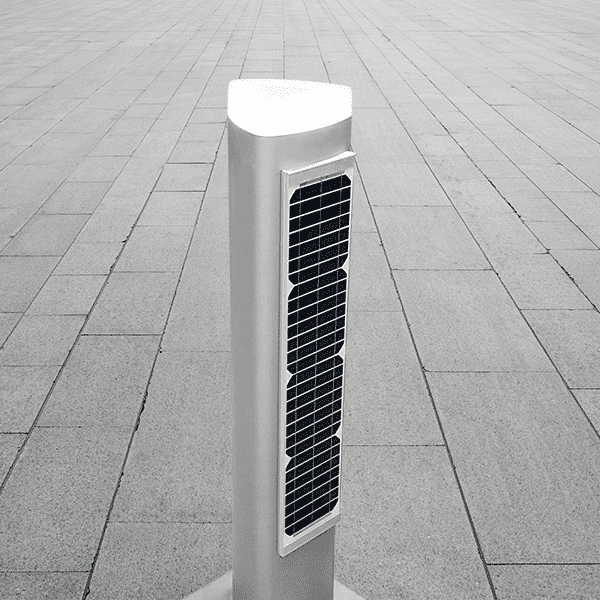 The triangular shape of bollard was also picked not by accident – the module side faces to sun and outside of walkway, while the back side of this luminaire fits modern and aesthetic surroundings, which can be seen in United Arab Emirates (UAE) where these bollards was successfully installed. Monocrystaline cut solar cells were used for this module to achieve required characteristics, while most efficient solar cells were used. 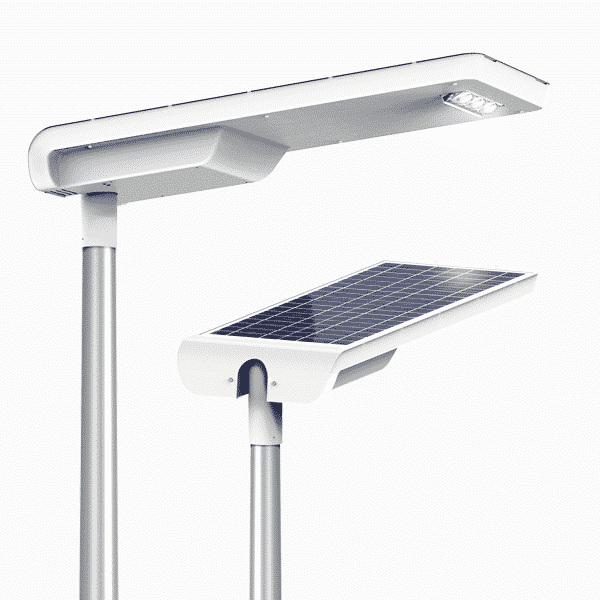 Custom solar module powers end product enough for it to be a fully off-grid solar lighting solution. Cut solar cells and glass/backsheet module technology was used for this panel. White backsheet was used for design purposes. 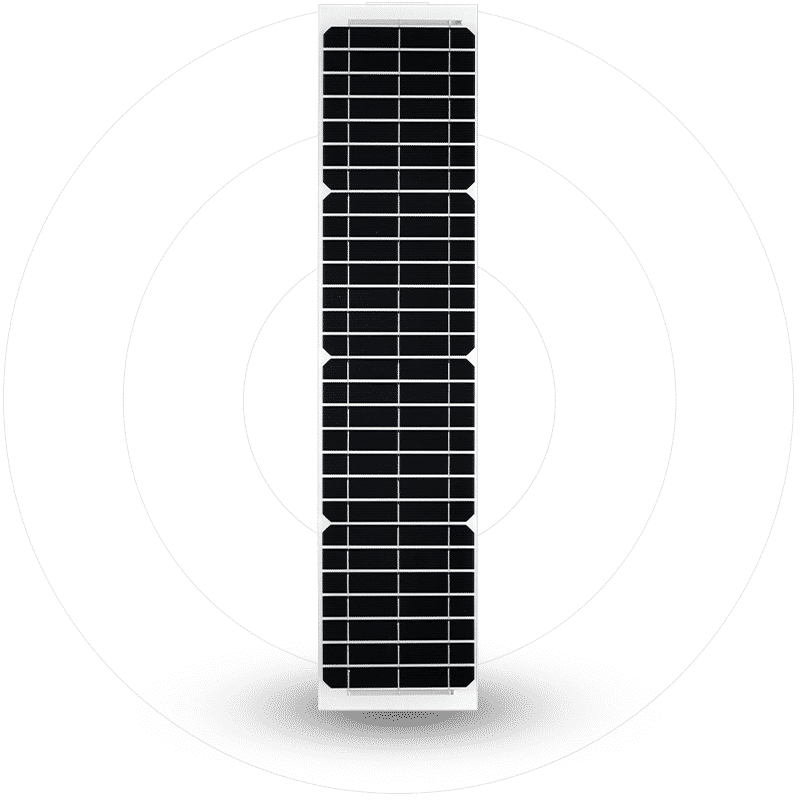 Required maximum power of this solar panel is 18Wp. Tests were performed to measure modules electrical performance. 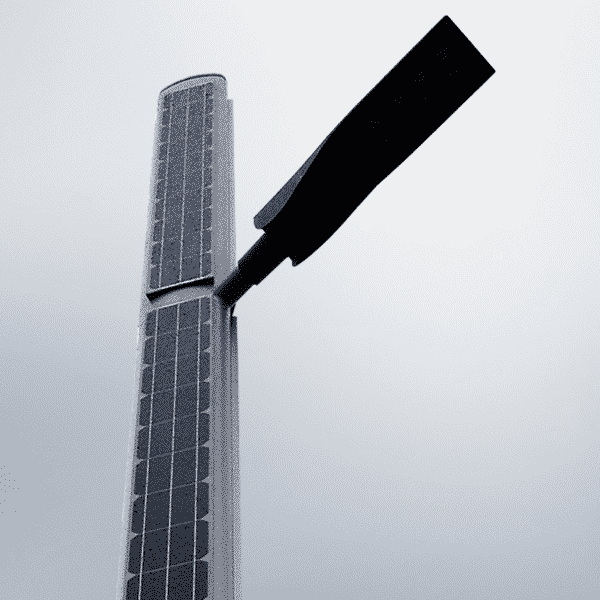 Interested in solar solution for lighting?